BOCA RATON – Largely absent from the Owls’ offense all season, running back Jay Warren may yet make an impact for FAU. That play, however, may not come with the ball in his hands. “Jay’s going to make a play for us this year that’s going to help us win a game, no question,” FAU offensive coordinator Travis Trickett said. Warren is considered the best blocker among the running back unit and Trickett says the Owls intended to utilize more two-back sets against Marshall, with one of those backs being Warren. But when the Owls experienced early success with one-back, two-tight end sets Trickett elected to stick with the two-tight end formations. FAU rushed for 281 yards on the evening, none of them came with Warren carrying the ball. “The two-tight end package ended up being so good for us so we just stayed with what was going good rather than just trying to get everything in,” Trickett said. A senior who started games in each of his first three seasons in Boca Raton, often as the feature back, Warren has only one carry in 2016, gaining one yard – and that came in the season-opener against Southern Illinois. It’s a shocking total considering that during fall camp Warren looked like the second part of a one-two punch led by Buddy Howell. But an unspecified injury late in camp slowed Warren, who’d rushed for 1,361 yards and seven touchdowns over the previous three season, and he hasn’t been able to work his way back into the offense. A few weeks ago running backs coach Jared Allen said the coaches were starting to see Warren’s missing burst return, but that hasn’t resulted in more game opportunities. Warren is credited with playing five games this season, which would remove the final opportunity to apply a yet-to-be-used redshirt season. In the meantime Howell solidified his role as a true No. 1 back, averaging 5.2 yards per carry and leading the Owls with nine touchdowns. In recent games true freshman Devin Singletary has demonstated the kind of production many expected from Warren. He’s averaging 5.1 yards per carry and has scored twice in the past three games, including a 48-yard TD run against the Thundering Herd. And Singletary’s 13 receptions thus far this season are four more than Warren has in his career. Change-of-pace back Kerrith Whyte has 40 carries on the season, including a controversial fourth-and-1 call against Marshall where the redshirt freshman slipped down, losing three yards. BOCA RATON – Daniel Parr’s recent success in games hasn’t done much to close the gap between him and starting quarterback Jason Driskel. 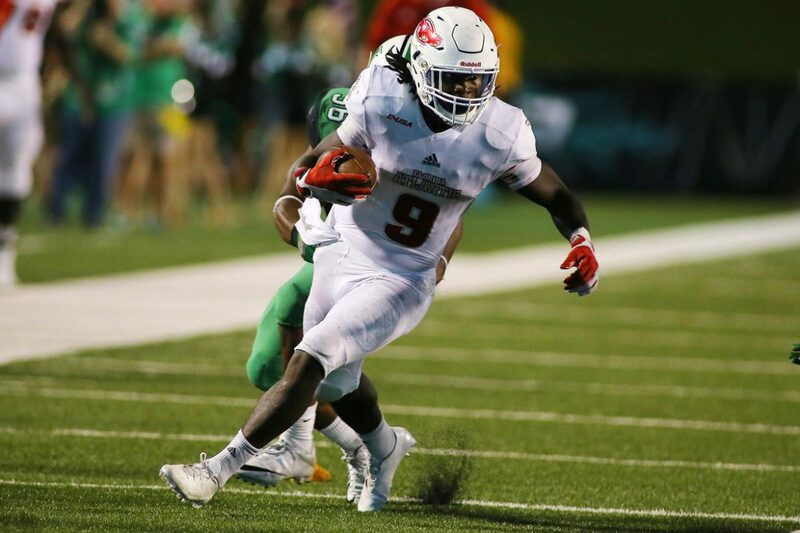 Parr led FAU to a touchdown on his lone drive against Marshall on Saturday – one of the three touchdowns the Owls posted against the Thundering Herd. Two of his last three drives found the end zone for the Owls, dating back to the game against Charlotte. How much of a difference Parr’s insertion into the lineup made is a matter for debate. In the drive against Marshall, Parr completed two of three passes for 24 yards. Six rushing plays covered the remaining 65 yards, the final one being Devin Singletary’s 48-yard touchdown burst. The Owls inserted Parr into the game for the third possession of the first half in each of the past two games, allowing him to operate under a limited playbook. He also played three series in the second half against Charlotte. “If he was six for eight on the drive [against Marshall] and was boom, boom, boom, boom boom, with the momentum really dictated by him, yes, absolutely we would maybe say coach, probably want to stick with him this next drive,” Trickett said. While Parr is improving, so is Driskel. With a potent running game increasingly carrying the FAU offense, Driskel played efficiently on Saturday, completing nine of 17 attempts for 151 yards and one interception. For the season, Driskel’s passing efficiency rating sits at 115.7, which ranks 95th nationally among the 111 qualified passers. Against Marshall Driskel also carried the ball eight times for 57 yards, including an 18-yard touchdown run. At the moment Driskel’s understanding of the offense continues to give him a significant advantage over Parr’s arm strength. While Parr is experiencing success, his current playing time is more about development as it is a push for the starting spot. Kalib Woods, FAU’s leading receiver, says it doesn’t matter which quarterback is in the game. “Sometimes I won’t really know who’s the quarterback until I’m switching sides of the field and I run past, and I’m like, oh, that’s Driskel or that’s Parr,” he said. BOCA RATON – For Kalib Woods, the only surprising aspect with regards to his breakout 2016 season is that it didn’t happen last year. During his first two years at FAU, Woods impressed as a scout team player by making acrobatic highlight-tape catches almost as regularly as he caught quick slants. While his 27 catches for 330 yards last season didn’t scream “bust”, they didn’t offer much in the way of foreshadowing for this season, either. “I thought the same thing about last year, that the plays like that were going to be made, that I would show people that I can transition from practice to the game, so it’s a good feeling when it happens,” Woods said. A 6-foot-3, 195-pound redshirt junior, Woods far and away leads the Owls with 41 catches for 596 yards. He also ranks in Conference USA’s Top 10 in both categories. Woods showcased his playmaking ability late in the second half against Marshall with a leaping, one-handed catch between two defenders that put FAU inside the Thundering Herd red zone on the Owls’ closing drive. At the time, Woods didn’t realize his left hand didn’t noticeably help with the catch. “Really, I just remember looking the ball in but I didn’t know that I caught it with one hand,” said Woods, noting that it wasn’t until his mom called him after the game that he understood what happened. Woods followed what might have been the best play of career with one of his worst moments a few plays later. Facing a fourth-and-3 at the Marshall 10, Jason Driskel fired a catchable, albeit a little low, pass that slid through Woods’ hands and fell incomplete. The Owls never got the ball back. “It’s a play that we ran all spring, all camp. It’s a routine play. I just felt like, really, no matter if the ball is low or high, if it touches my hands I should have caught it,” Woods said. That Driskel looked to Woods so often on the final drive isn’t surprising. All other FAU wide receivers combined have only two more catches this season than Woods. On the play prior to Karmin Solomon’s Hail Mary catch, then replay reversal, the week prior against Charlotte, officials appeared to miss a pass interference call in the end zone by the defender covering Woods. A catch there would have given Woods a dozen on the afternoon. Driskel isn’t the only one targeting Woods. Four of Daniel Parr’s eight completions have been to Woods. 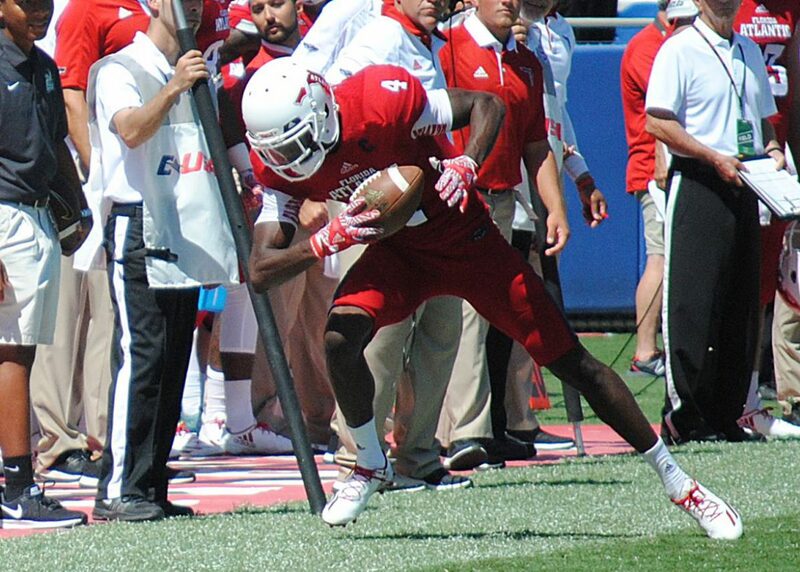 Though he’s clearly out-performing all other FAU receivers, Woods said that’s not by design. Without the emergence of another receiving threat, expect opposing secondaries to key on Woods in the season’s remaining five games. “I would like for a breakthrough season to have more wins for sure, but from a personal standpoint it is fun,” Woods said. BOCA RATON – FAU offensive coordinator Travis Trickett would like another shot at making what became a controversial play call. Leading 21-16 in the third quarter and facing a fourth-and-1 at the Thundering Herd 20 in Saturday’s loss at Marshall, and with FAU enjoying success running the ball between the tackles, Trickett opted for a toss sweep to Kerrith Whyte, who slipped while making a cut and lost three yards. “No question I wish I had that call back,” Trickett said. With Trickett once again expecting Marshall defensive linemen to go low to take away the legs of Owls’ offensive linemen, there figured to be more room on the perimeter. Trickett said that play call was one of three calls he would like to have back from the Marshall game, but did not divulge the other two. Media and fans expressed criticism of both the play selection and the personnel. Running backs Buddy Howell and Devin Singletary were both on their way to eclipsing the 100-yard mark, while Whyte had only one carry in the game prior to the play. Trickett said Buddy Howell was dealing with a sore shoulder, which factored into the call. FAU rushed for a season-high 281 yards against Marshall, but three points in that situation would have allowed the Owls to attempt a short, game-tying field goal in the closing minutes rather than being forced to try to convert a fourth-and-3. That play resulted in Kalib Woods dropping a Jason Driskel pass that would have given FAU a first down. The Owls never got the ball back, losing 27-21. On Monday FAU coach Charlie Partridge said the decision forego the third-quarter 37-yard field goal attempt in favor of taking the chance on picking up the first down was the right call. Woods, too, had the back of his offensive coordinator, bringing up the third-quarter call on Wednesday without being prompted. BOCA RATON – Seconds after the snap, FAU linebacker Azeez Al-Shaair recognized his mistake. Already out of position, that moment didn’t leave much time for thought. “Damn,” Al-Shaair said to himself. Less than 4 minutes into Saturday’s loss at Marshall, Al-Shaair’s film study told him that, facing a third and 3, the Tundering Herd’s formation denoted that what the Owls call a “Y High” blocking scheme was coming. After all, the only other option was Pin and Pull, and the Thundering Herd had already run that play. By the time Shaair realized his mistake, Marshall running back Keion Davis was already on his way to a 30-yard touchdown that tied the game at 7. Little misses like that don’t seem like much, but those kinds of problems highlight both the negatives and, oddly, the positives about FAU’s season. On the one hand, small mistakes are constantly leading to big problems for FAU. 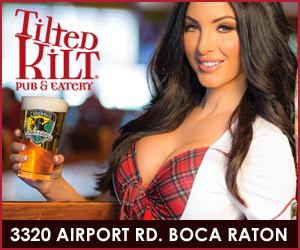 On the other hand, those problems are easiest to fix with experience – and many of the Owls have plenty of years remaining in Boca Raton to grow. Al-Shaair returned to the sideline and immediately after the touchdown and told defensive coordinator Roc Bellantoni that he recognized the mistake. Then Al-Shaair got his head back in the football game. There have been plenty of moments for Al-Shaair and the rest of the 1-6 Owls to overcome this season. While fans and the media – present publication included – probe and prod players and coaches for the reasons behind the struggles, Al-Shaair offers a philosophical and well-reasoned interpretation of the first seven games. “This season in general taught me so much more than probably any season I’ve ever had in my entire life,” the sophomore said. Al-Shaair has seen tougher times. His family was, at one point, homeless. Food wasn’t always readily available. Football provided Al-Shaair with a way to improve his life, but he offers a different perspective on the importance of the game – one that’s simultaneously grounded and uplifting. Al-Shaair no longer feels the need to explain the Owls’ internal issues to friends. Listening to the complaints, Al-Shaair came to the conclusion that to truly understand the ins and outs of every play, of every success and failure, the person has to be a part of the team. He does, though, understand the temptation to question plays, schemes and decisions. Sometimes he finds it hard to keep himself from asking the same kinds of questions when watching NFL games. “At any level you are on, when you are not a part of that team, you don’t know,” Al-Shaair said. A USA Today Freshman All-American last season, Al-Shaair is currently second on the Owls with 59 tackles. Despite guessing incorrectly on Marshall’s first touchdown, Al-Shaair still managed 15 tackles against the Thundering Herd. “Me and coach Roc talk about it all the time – just finding that balance of play recognition and guessing,” Al-Shaair said. But that game is in the past. And a bye week is not the time to relax. 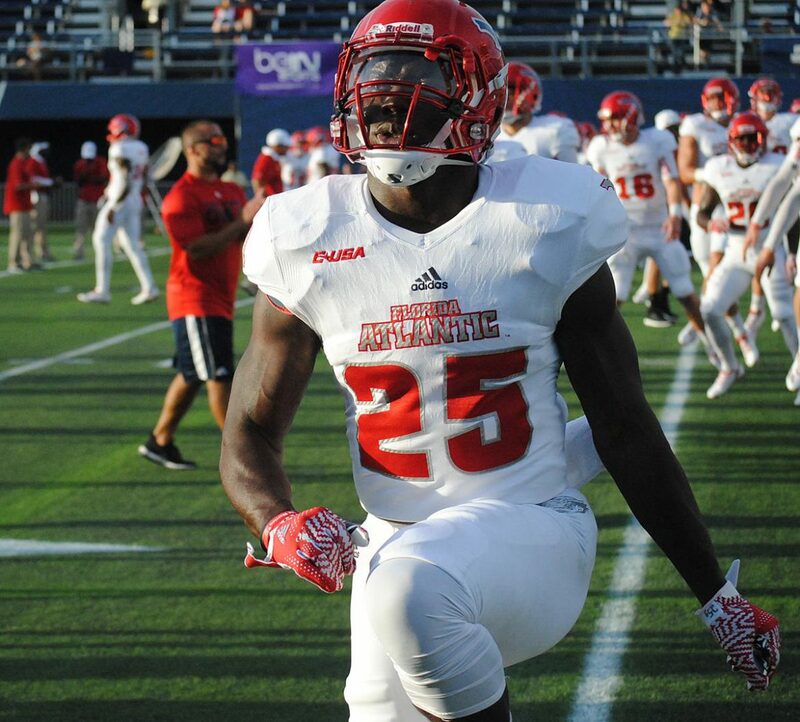 BOCA RATON – Linebacker Azeez Al-Shaair burst into FAU’s collective consciousness as a true freshman in 2015 when he led the Owls with 94 tackles and earned USA Today Freshman All-American honors. Prior to the start of 2016, FAU players elected the now-sophomore Al-Shaair one of their captains. The above video provides insight into why Al-Shaair was a good selection. On Tuesday Al-Shaair explained how he and many of the Owls are dealing with the criticisms from fans and even their friends following FAU’s 1-6 start. He also discusses where he’s seeing improvement. Al-Shaair says he’s seeing a positive change in the way players are approaching the game both on and off the field. He also isn’t seeing dissension inside the Owls’ locker room. Currently second on the Owls with 59 tackles, Al-Shaair is coming off a 15-tackle night at Marshall. FAU lost that game to Marshall 27-21. The Owls are in the midst of their bye week. 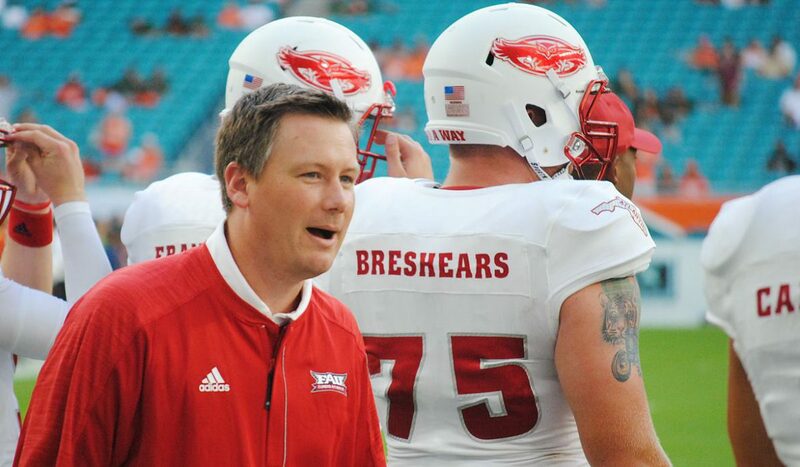 Western Kentucky comes to Howard Schnellenberger Field on Oct. 29. BOCA RATON – Charlie Partridge doesn’t believe a radical change to the way FAU goes about its business is needed to snap the Owls out of their current six-game losing streak. Change for change’s sake could do more harm than good, he figures. As he has done frequently over the course of the past month, Partridge pointed out that the Owls are only a few plays in each game from owning a much better record. Saturday’s 27-21 loss at Marshall was FAU’s fourth loss in as many games by six points or less. Partridge says he isn’t the only one seeing progress. 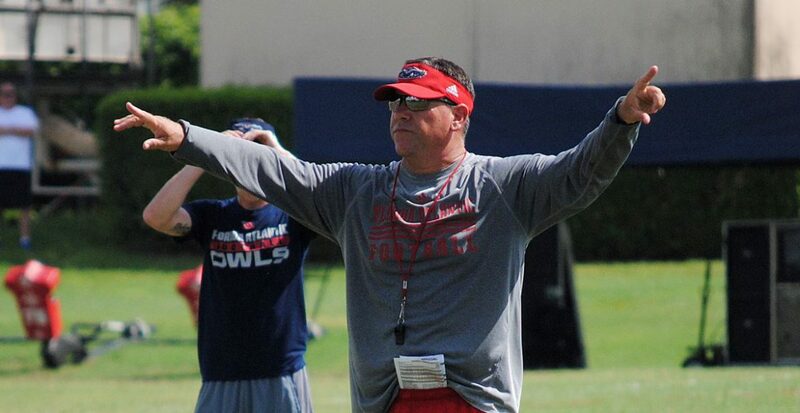 FAU’s schedule does dictate that there will be some changes this week. Without a game on Saturday, the Owls will use Tuesday’s and Wednesday’s practices to add some live tackling drills and develop their younger players. Many of the Owls assistants will be away from the Oxley Center on recruiting trips, but they will return by Thursday when FAU begins preparation for their Oct. 29 game against Western Kentucky. Two years ago, when FAU entered its bye week at 2-4, Partridge used what he saw during the bye week to make the decision to remove the redshirt from then-true freshman running back Buddy Howell. “That bye week helped solidified how much more we wanted to get him involved,” Partridge said. In the coming years Partridge hopes to have a team almost equally divided between game-ready players who take the field every Saturday and those in the development program who may be a year or two away from contributing. The Owls aren’t there yet. FAU’s lineup on Saturday featured only five seniors among its 24 starters. Conversely, the Owls started eight players, including quarterback Jason Driskel, who are in their sophomore or freshman seasons. “When we get into that position where we have that development group and a group that’s playing, then we are going to be a scary, scary football team,” Partridge said. The paths vary. The destination remains the same. FAU once again had a chance to win late in a game only to see the game-deciding Jason Driskel pass hit wide receiver Kalib Woods in the chest and fall to the ground at the Marshall 5 yard line. Three knees later, Marshall had beaten FAU 27-21. Neither FAU (1-6) nor Marshall (2-4) had defeated an FBS opponent prior to Saturday. The Owls have lost six consecutive games, their longest such streak since doing the same in 2012. 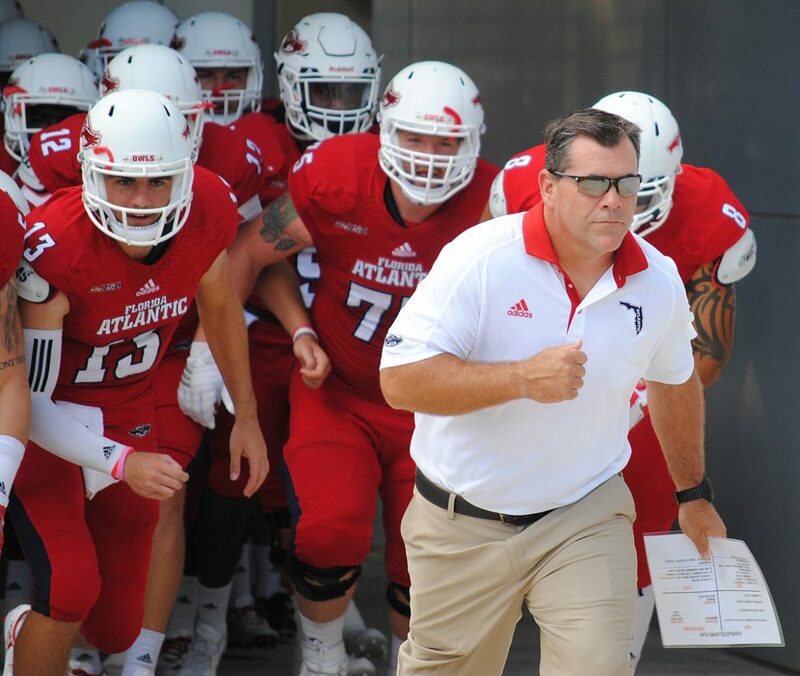 FAU must win its remaining five games to become bowl eligible. FAU has lost its last four games by a combined 17 points. In every one of those four the Owls had an opportunity to win in the fourth quarter. On Sunday the Owls had an apparent Hail Mary touchdown on the game’s final play overturned by replay. The week prior FIU’s offense ate up the final six-plus minutes of the game, never allowing FAU the chance at a potential game winning drive. Against Ball St. the Owls allowed the game-winning touchdown inside the final two minutes then couldn’t mount a two-minute drive. On Saturday at Marshall, FAU led 21-19 with 8:24 remaining before the Thundering Herd marched 80 yards in 14 plays on a touchdown drive that not only gave Marshall a 27-21 lead but also left the Owls with only 1:53 to do anything about it. It was the third such clock-eating drive at the end of a game surrendered by the Owls in as many weeks. Despite the touchdown, the Thundering Herd did give the Owls a couple of gifts. Keion Davis drew an unsportsmanlike conduct penalty by taking off his helmet while celebrating the score. Marshall’s ensuing kickoff sailed out of bounds. Starting their final possession at the 50, the Owls quickly moved into scoring position when Woods made an acrobatic, leaping, one-handed catch between two defenders, setting the Owls up at the Marshall 17. The Owls reached Marshall’s 11, but on fourth down Woods couldn’t capture a low but otherwise catchable Driskel pass. FAU lost despite rushing for 281 yards. Buddy Howell and Devin Singletary both rushed for more than 100 yards and scored a touchdown apiece. The Owls led after 30 minutes but Marshall kept FAU off the scoreboard in the second half. Over the course of the last four games, FAU’s offense has found the end zone only twice in the second half. FAU started the scoring when Jason Driskel burned Marshall on the read option – a play that opponents have used successfully against the Owls many times this season. He kept the ball, raced around right end and sprinted 23 yards for the score that capped the opening drive of the game. Trailing 10-7 late in the first quarter, Singletary burst through the middle of the line, stumbled a bit, then raced untouched for a 48-yard touchdown that put the Owls up 14-10. Howell’s 1-yard dive sent the Owls into halftime with a 21-16 lead. The Owls had already stopped the Thundering Herd’s fourth down conversion attempts twice. The third time was the charm for Marshall. As the clock was winding down on Marshall’s final drive of consequence, Keion Davis picked up the needed one yard, reaching the FAU 34. Three plays later Marshall was at the FAU 5. Two more plays, game-winning score. FAU’s offensive coaches are making good use of the week of preparation before games. The Owls once again started quickly, scoring on their first drive and finding the end zone three times in the first half. Aside from the season-opener, however, the Owls have yet to make any meaningful second-half adjustments. The Owls’ offensive line is still still beat up, but the effort they gave on Saturday can’t be questioned. Kelly Parfitt returned, at least for a while, helping blow open holes for Howell and Singletary. Two 100 yard rushers? That game has to be won. The hallmark of Travis Trickett’s offense is supposed to be getting the ball in the hands of playmakers. So why, with Howell and Singletary on their way to 100 yard games and facing a fourth-and-1 early in the third quarter did he call for a toss sweep to Kerrith Whyte? It was only Whyte’s second carry of the game and he lost three yards. Had the Owls kicked the field goal there, they would have only needed a short field goal at the end of the game to force overtime. FAU utilized two tight ends much of the night, but Tyler Cameron wasn’t one of them. Standing on the sideline icing his torso, Cameron watched freshman Harrison Bryant and little-used Dustin Bowens handle the heavy lifting. Defensive end Trey Hendrickson also served as a blocker on short yardage – including the Howell touchdown. Kalib Woods caught five passes. Pico Harrison caught one. No other wide receiver caught a pass. Did they hit the bye week early? 2 – Fumbles on the season by Howell. Both have proven costly. Marshall turned Howell’s second quarter turnover into a touchdown three plays later. 6 – Third down conversions on 14 attempts for Marshall. 9 – Rushing TDs on the season by Buddy Howell, tying him with Alfred Morris (2011) for the third most in a single season for FAU. Morris is also the single-season record holder with 11 (2009). 16 – Tackles for both Jalen Young and Nate Ozdemir. Azeez Al-Shaair had 15, suggesting that the Marshall stat crew may have been a little generous awarding tackles. 100 – Yards receiving for Kalib Woods. 111 – Yards rushing for Devin Singletary, the first time the freshman has eclipsed the century mark. 128 – Receiving yards and a touchdown on nine catches for Marshall’s Josh Knight as the Owls keyed on Thundering Herd leading receiver Michael Clark. 456 – Total yards for FAU’s offense. Marshall posted 436. FAU enters its bye week. The Owls next take the field on Oct. 29 against Western Kentucky at Howard Schnellenberger Field. Where: Joan C. Edwards Stadium, Huntington, W. Va.
Key for FAU: Pound the ball. The Owls are getting healthy along the offensive line. Over the past couple games the chief beneficiaries have been the FAU running backs. In Buddy Howell and Devin Singletary the Owls have two backs capable of grinding out yardage and keeping their defense off the field. Key for Marshall: Play like Marshall. The Thundering Herd have been one of the premiere programs in Conference USA, but this year they haven’t performed like one. Losses to Louisville and Pitt are explicable, but last week’s 38-21 shortcoming at North Texas surprised many. Marshall is once again loaded with South Florida athletes. Should they play to their potential, the Herd should have the horses to defeat FAU. Key Match-up: Marshall’s offensive line vs. FAU’s defensive front four. In recent years the Thundering Herd have been able to gash the Owls straight up the middle. FAU seems to have found some consistency in the middle of the line, with Shalom Ogbonda and Stephen Leggett playing better each week, and Josh Kendall and Denzel Whitfield continuing to improve. If the Owls stop the run straight up the gut, they will give themselves a chance. If not, Marshall could put this game away early. Championship Ball: This is the final game of the season’s first half for Marshall and the first game of the season’s second half for FAU. Did anyone predict in August that the winner of this game would be earning their first W against an FBS school? 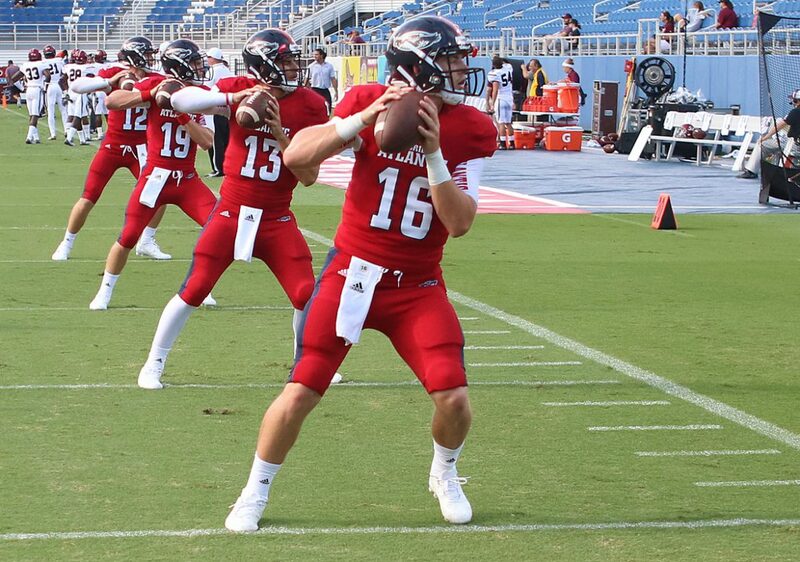 FAU’s lone win of the season came against Southern Illinois of the FCS. 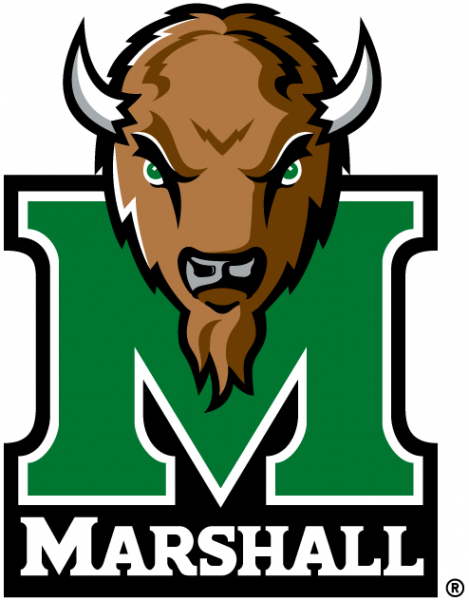 Marshall’s came against FCS opponent Morgan St.
Getting Explosive: Only four teams are allowing more than the 41.0 points per game the Thundering Herd have surrendered in their first five games this season. FAU’s offense this season has proven to be the cure for what ails bad defenses. The Owls, though, think they can hit the Thundering Herd for some big plays. “They’re pretty much one level of defense, so if we clear that first level there’s some yardage to be made,” FAU offensive coordinator Travis Trickett said. 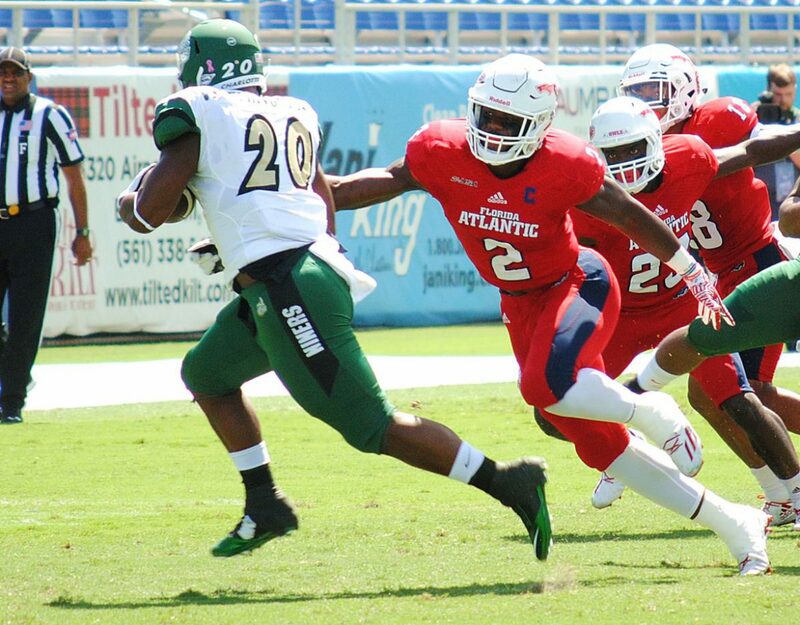 Middle Man: FAU middle linebacker Jacob Douglas, a sophomore, has shaken off an undisclosed injury suffered in the season’s opening game and is seeing his game action increase. With starter Nate Ozdemir injured against Charlotte, Douglas took over in the second half. Even if Ozdemir is back to 100 percent on Saturday, look for more of Douglas. “”He’s a good football player and we need to get him in there more,” Bellantoni said. FAU offensive coordinator Travis Trickett admitted on Wednesday what most anyone who has been watching the Owls play already knew. The Owls’ offense isn’t very good. FAU ranks No. 115 out of 128 FBS teams in total offense, averaging 339 yards per game. Only 20 teams are averaging fewer than the 22.7 points per game the Owls are posting. And those totals come after facing FIU and Charlotte, two of the worst defenses in the nation, in consecutive weeks – both FAU losses. Trickett noted that the Owls’ offensive issues have differed from week to week. “One week you can’t run the ball, one week you can’t throw the ball,” Trickett said. Trickett attributed many of those struggles to youth. FAU’s offensive line in particular has been decimated by injury this season. The Owls say they are getting closer to getting injured right tackle Kelly Parfitt on the field. That would allow the Owls to play with four of the five lineman who emerged from fall camp as starters – something that hasn’t happened in any game this season. Left tackle Reggie Bain is lost for the season following hip injury incurred in a motor scooter accident. Without naming names, Trickett said the Owls are using several players who, only a few weeks ago, weren’t ready to play Division I football. “There’s a lot of guys that, if you would have asked me before the season what do you expect from this guy?, I would have said he’s probably not going to play, but they are playing – and I’m tickled to death about where they are heading,” Trickett said.